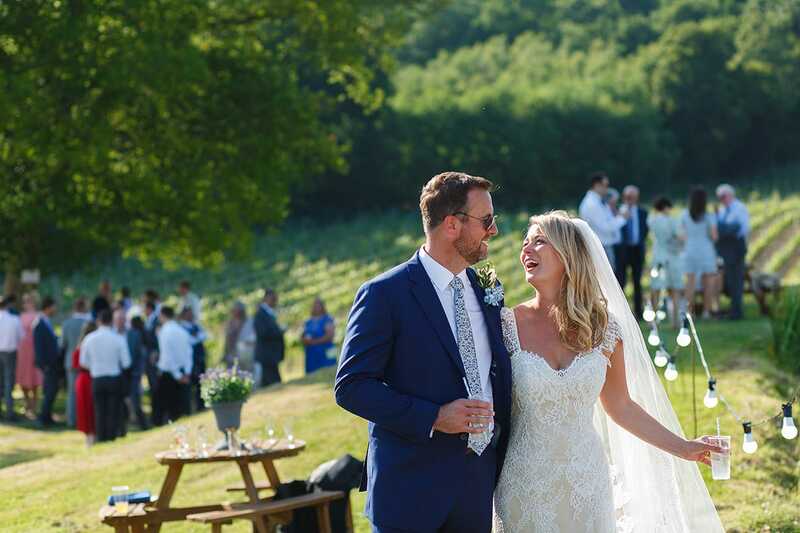 It was off to East Sussex to meet up with Laura and Todd for their Bluebell Vineyard wedding, a couple of months after the bluebells were out but a stunning spot nonetheless! 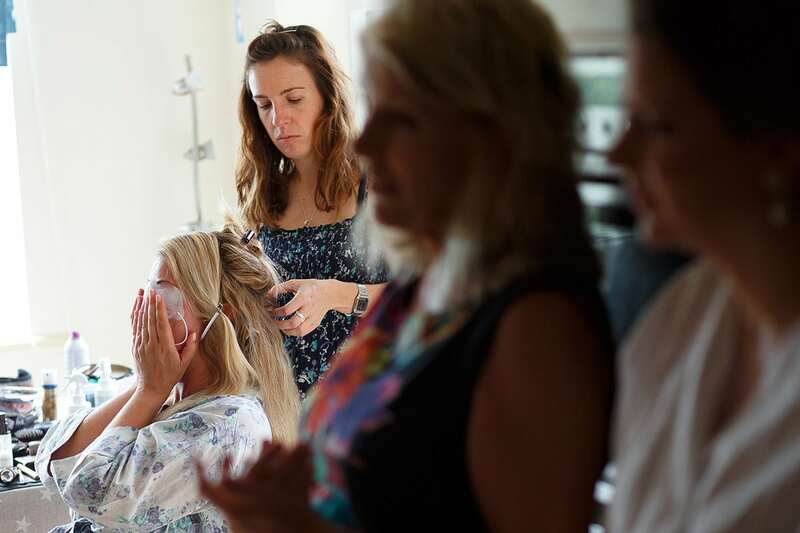 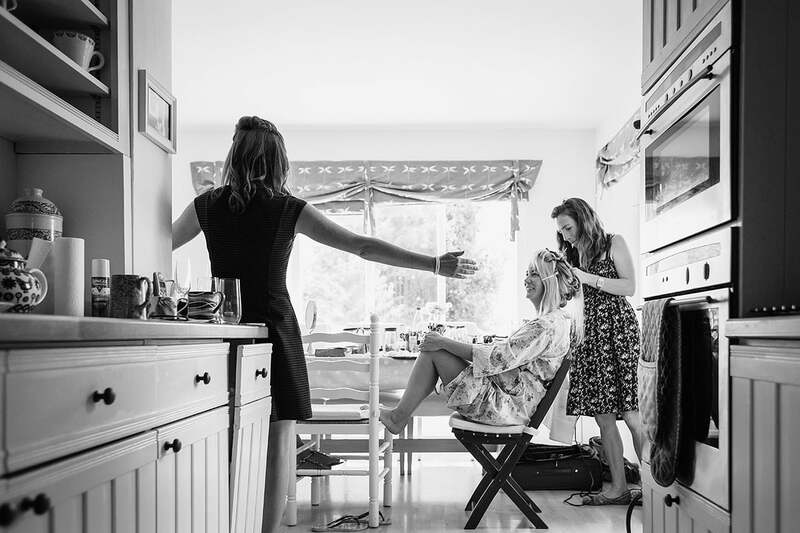 Laura and the girls were getting ready at Laura’s mum’s house. 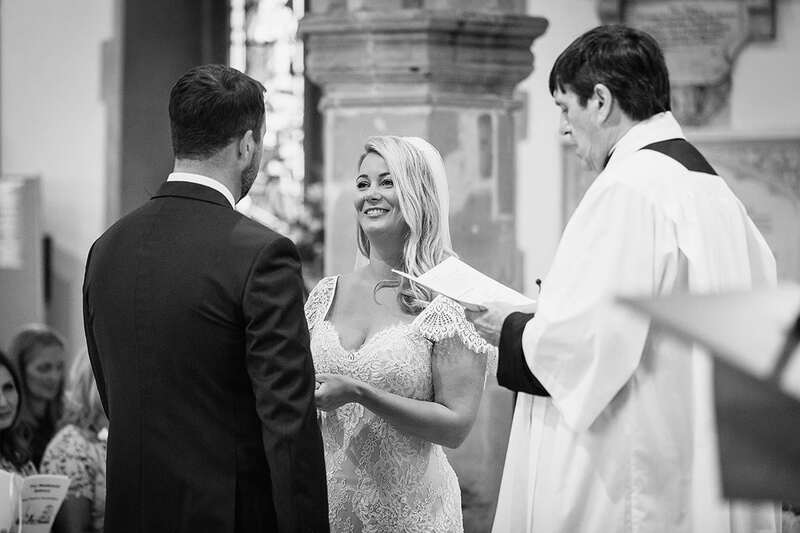 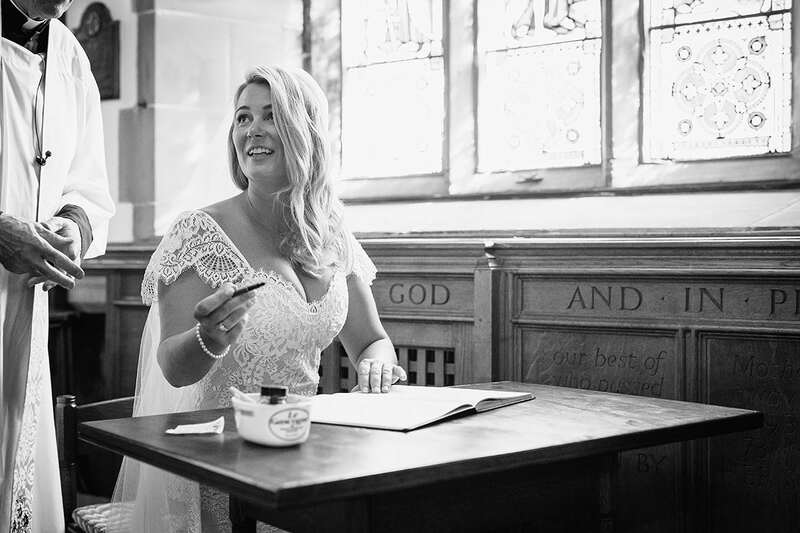 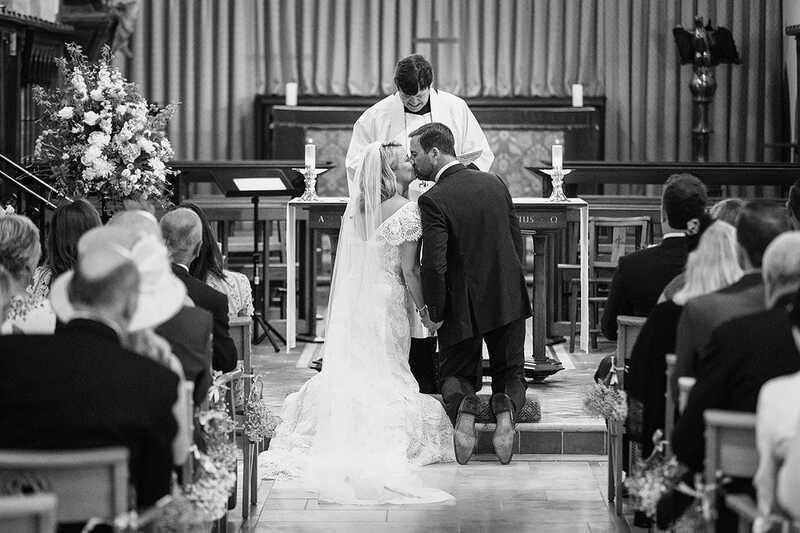 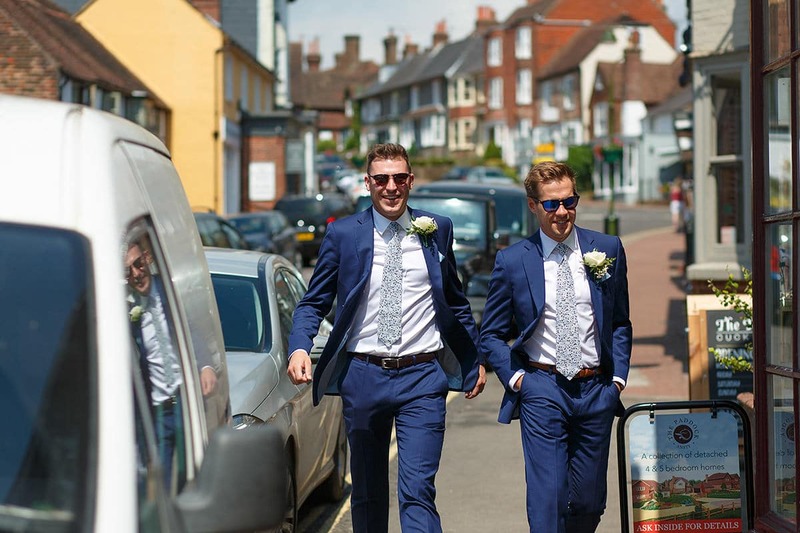 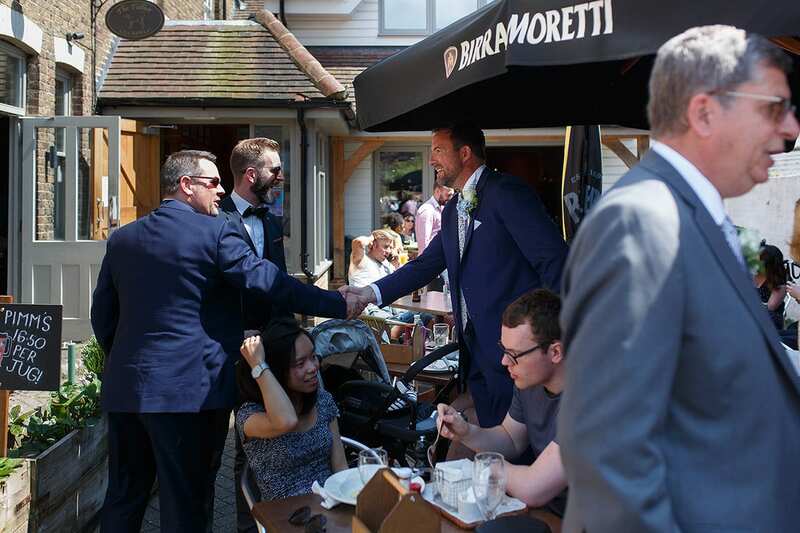 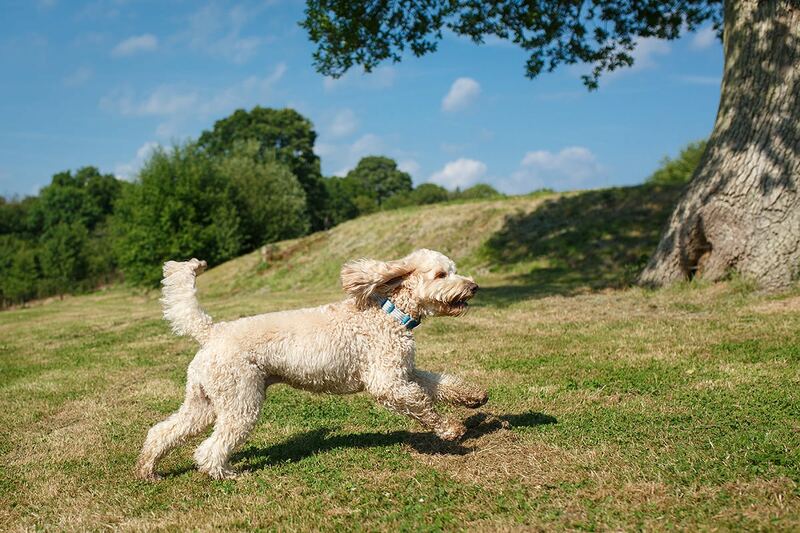 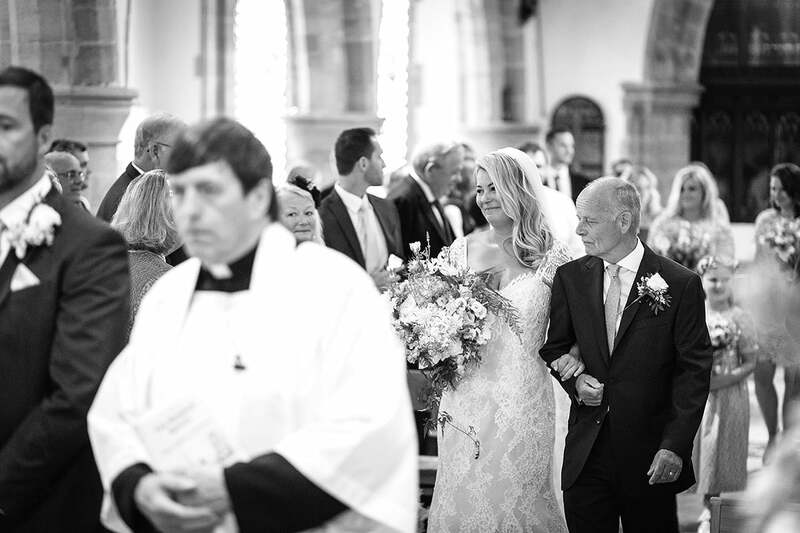 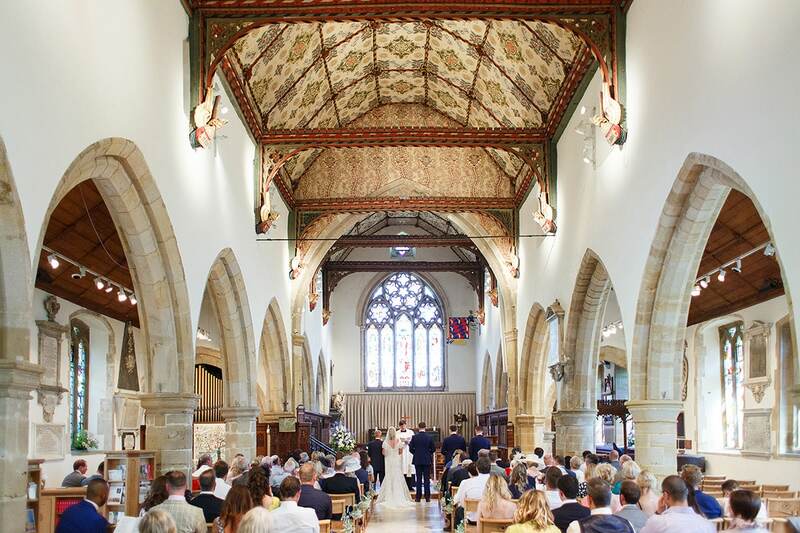 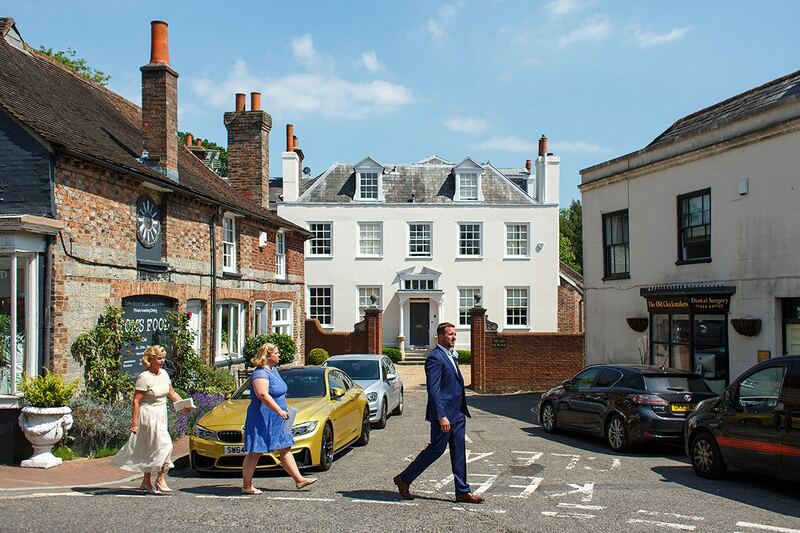 After a few quick shots, it was off to Cuckfield to meet Todd and the ushers who were greeting guests at a pub just a couple of hundred yards away from the church. 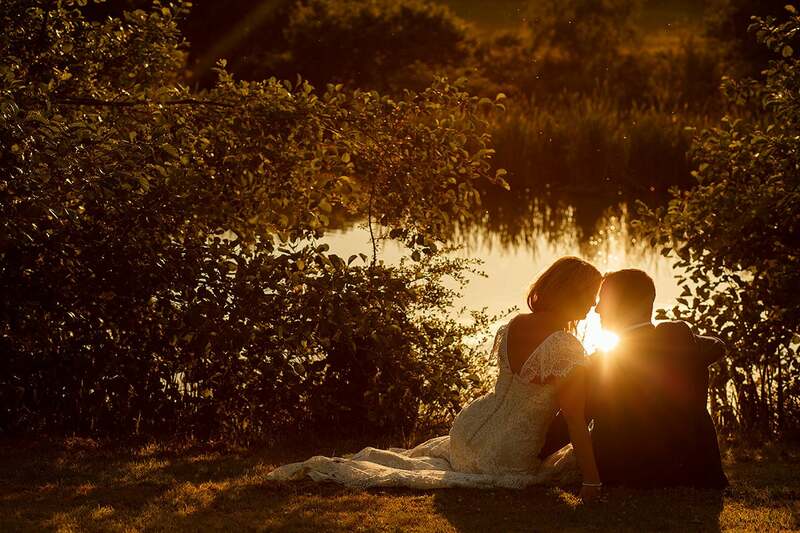 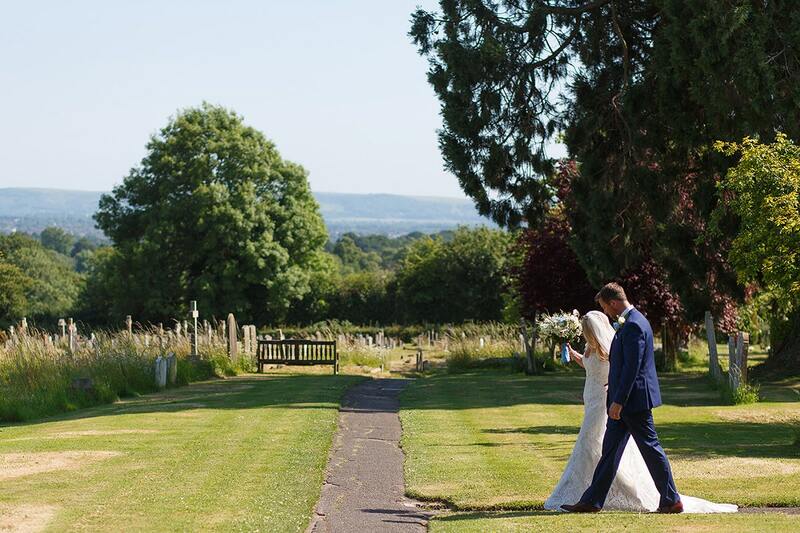 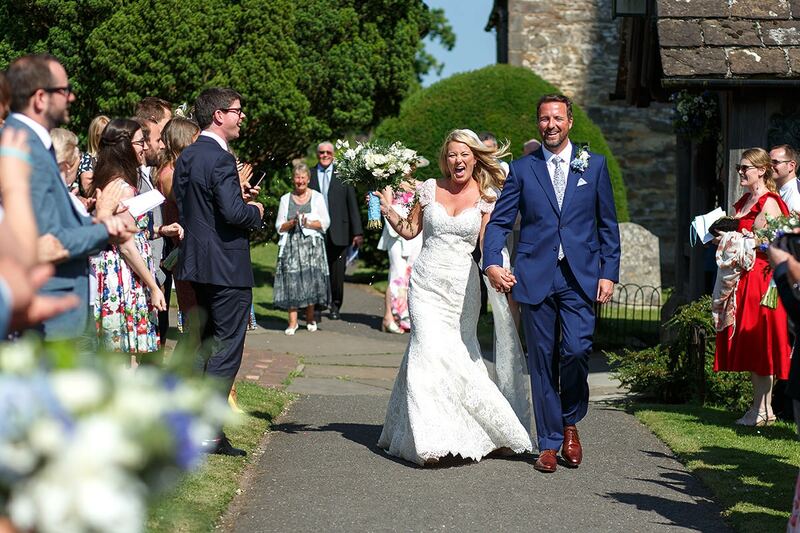 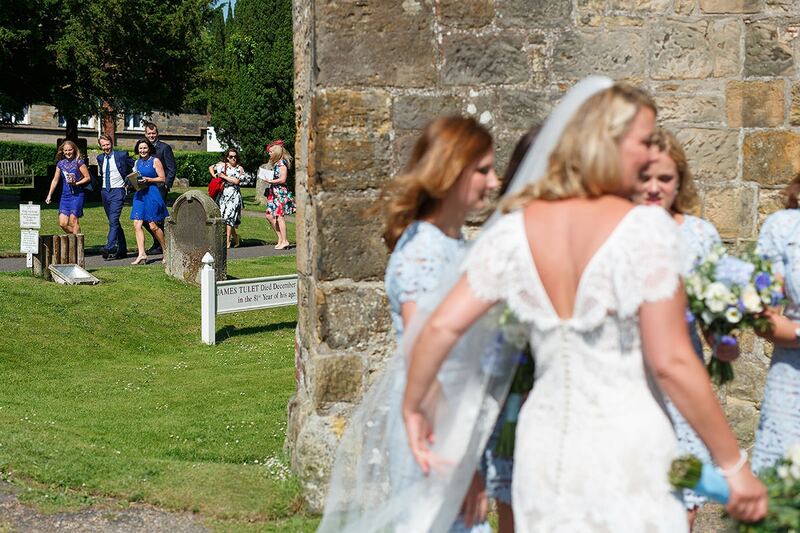 The weather was absolutely perfect for their wedding day, brilliant blue skies and blazing sun. 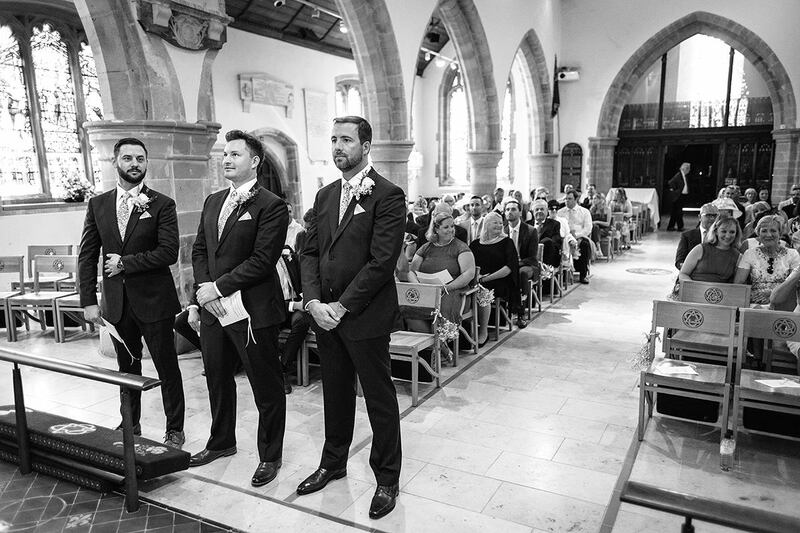 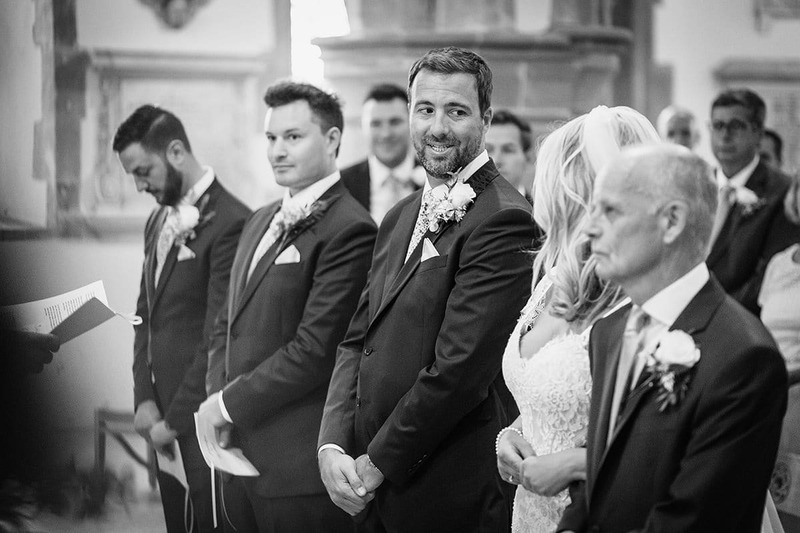 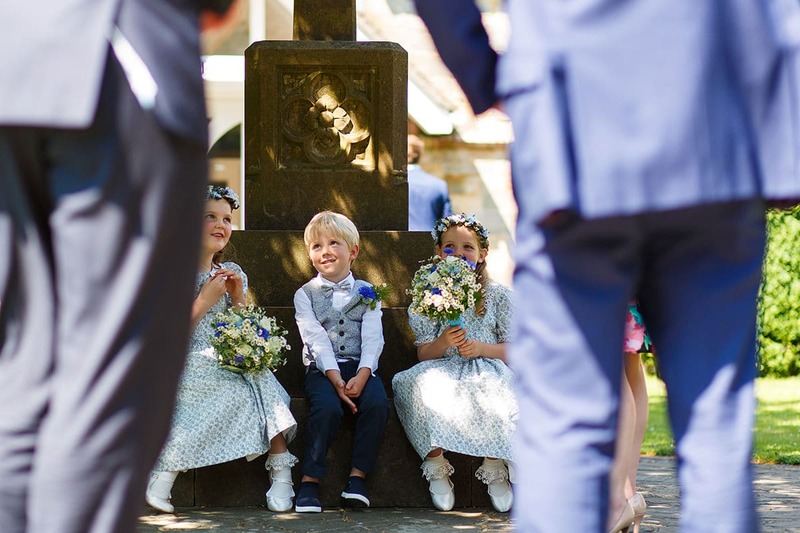 Todd and the boys walked through town to the Holy Trinity church to meet the rest of the guests and to take position at the top of the aisle for Laura’s arrival. 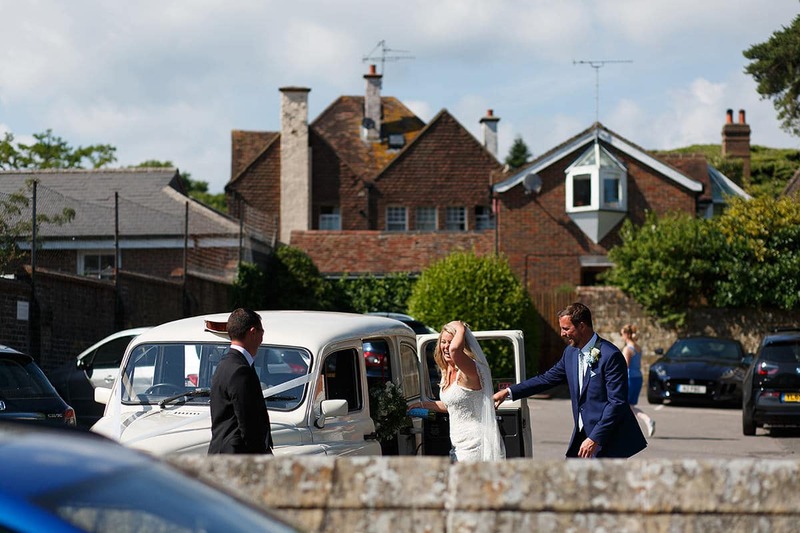 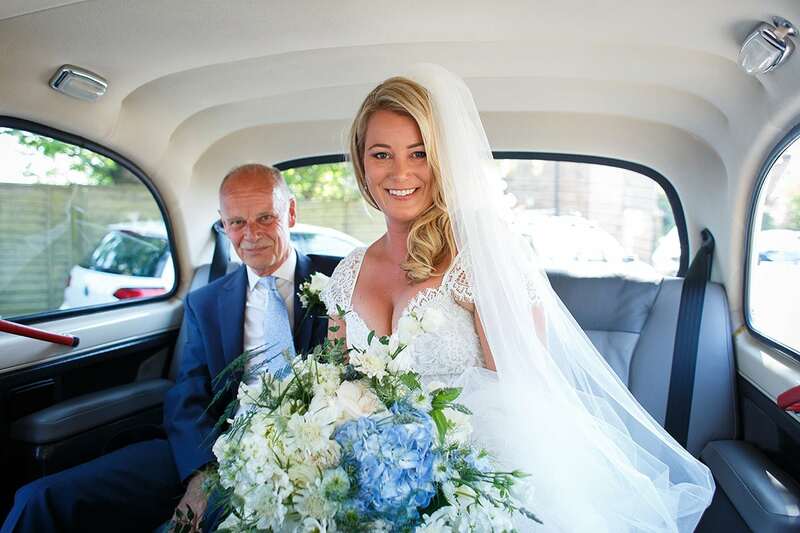 Outside Laura and her father were parking up in their white London taxi, a rare sight on the streets of East Sussex. 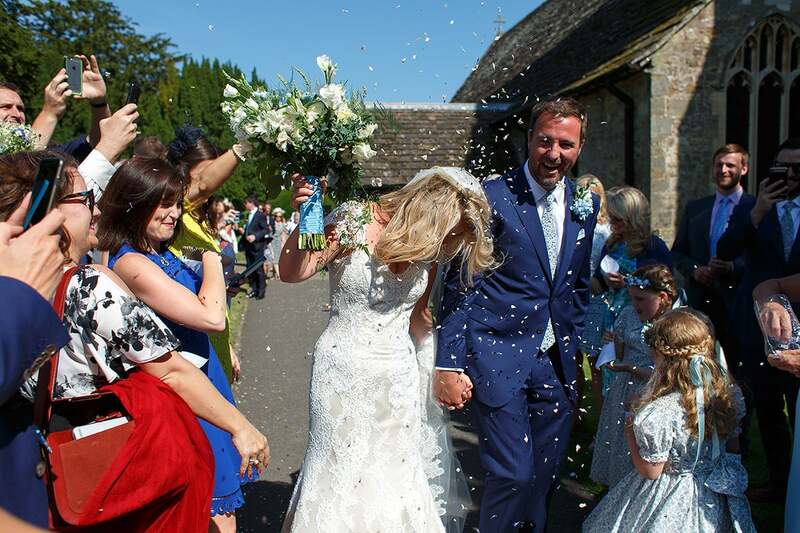 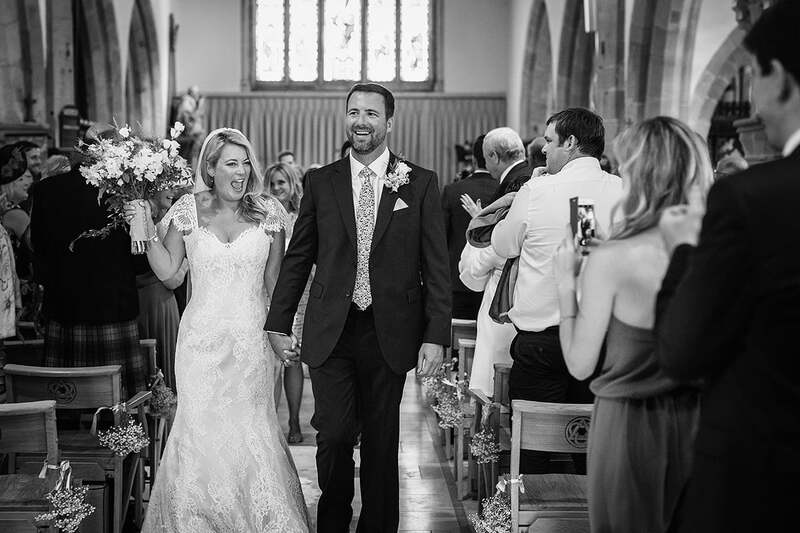 After a touching service full of smiles Laura and Todd took a quick 5 minutes alone at the back of the church before a charge through the confetti to their waiting taxi. 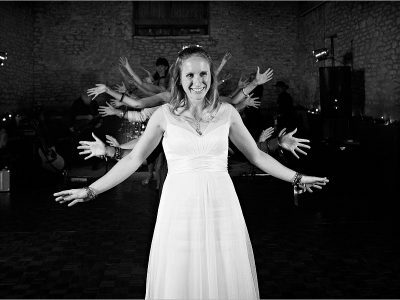 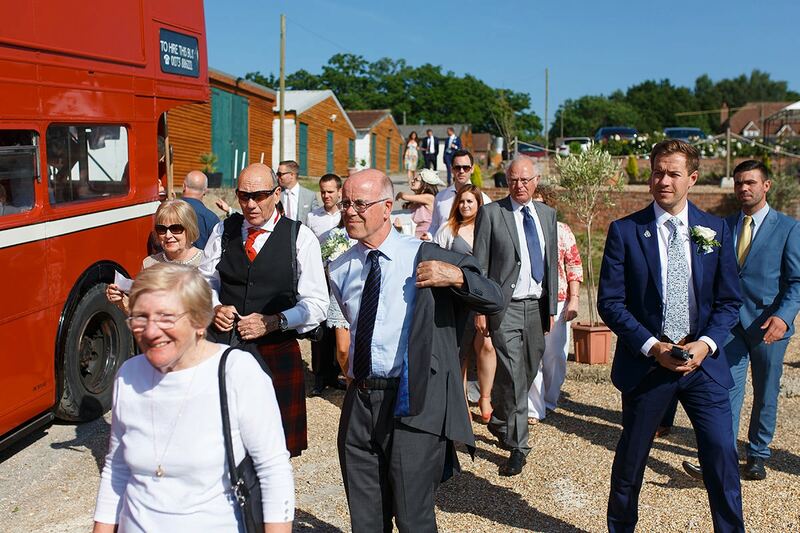 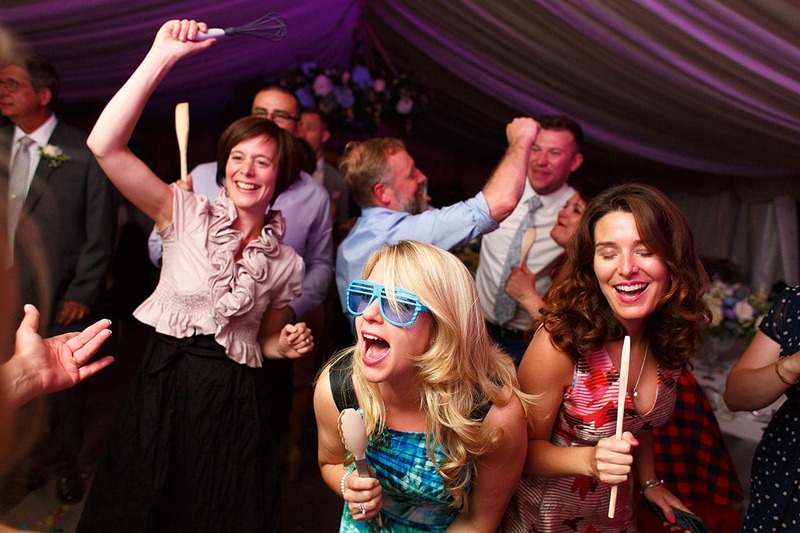 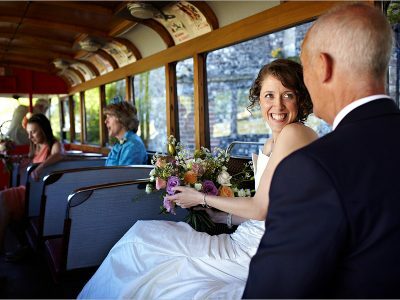 The guests piled on to a Routemaster bus to take them all to the reception. 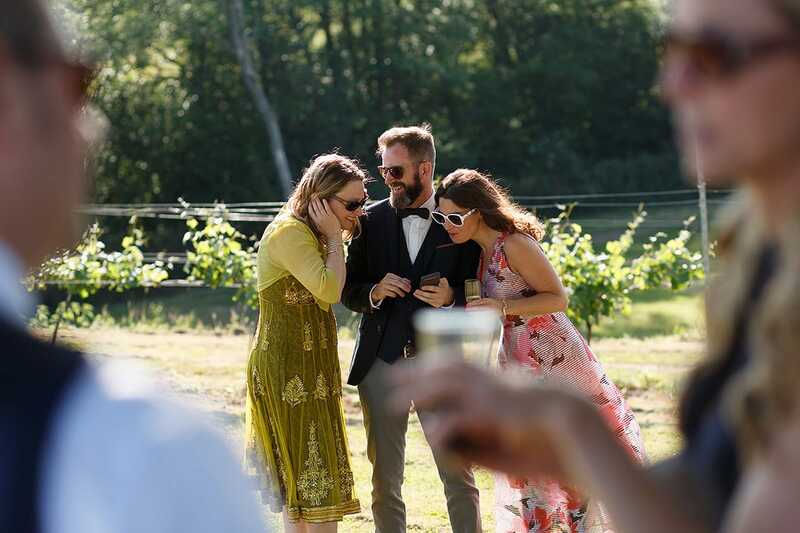 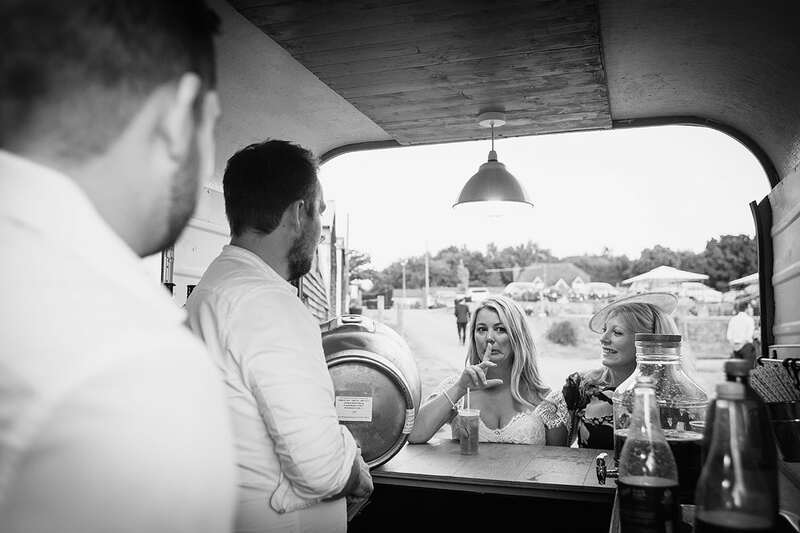 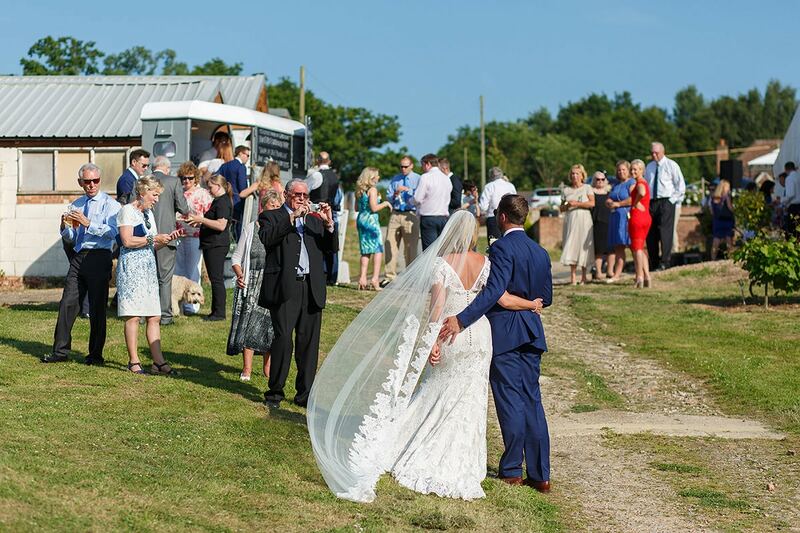 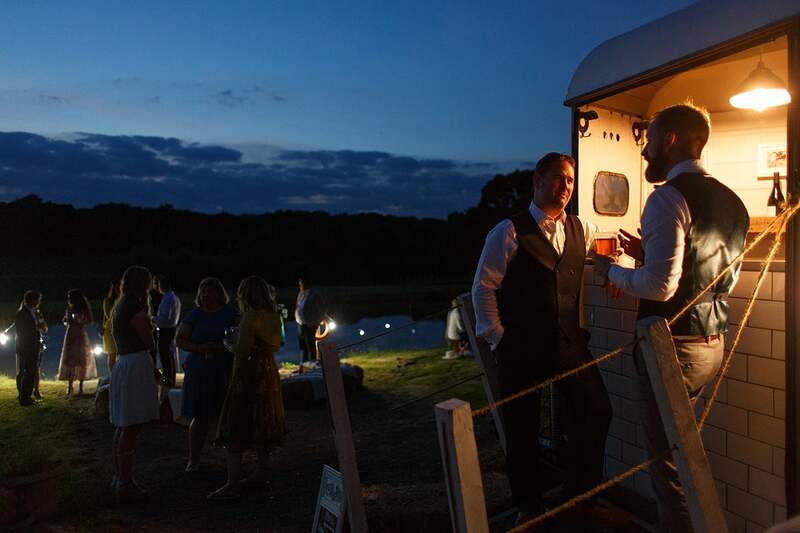 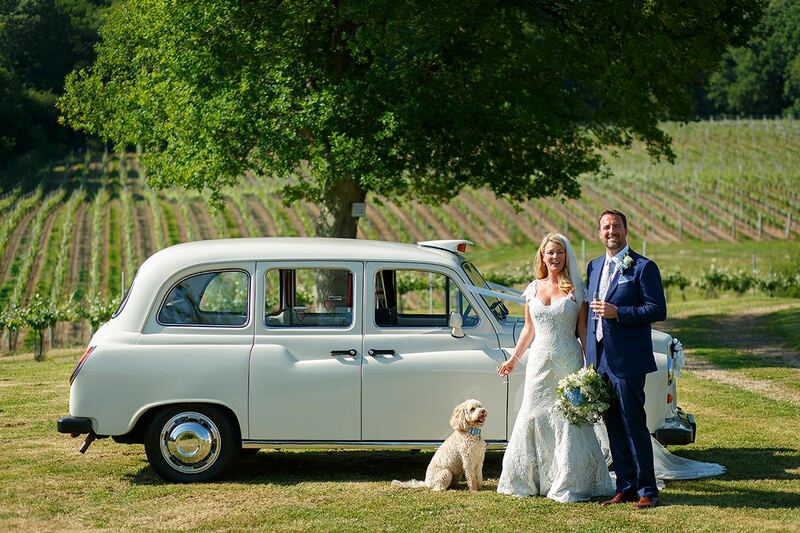 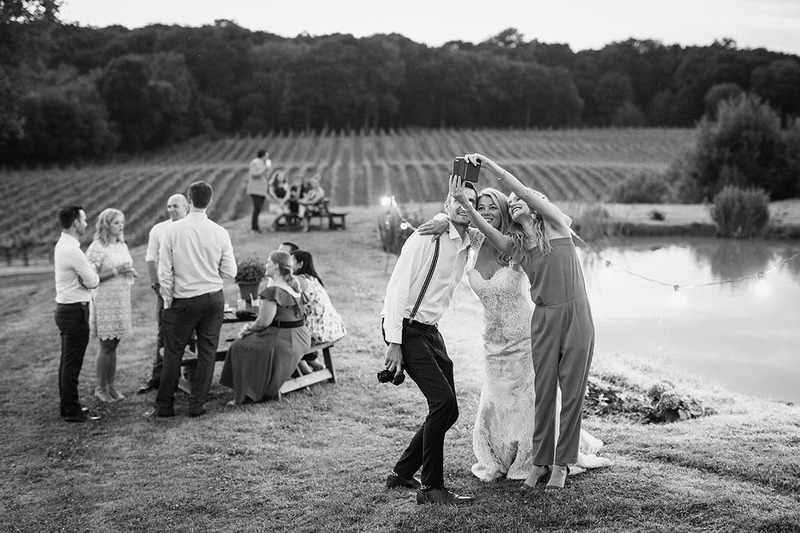 I arrived at Bluebell Vineyard shortly after Laura and Todd and managed to grab a few photos of them with the wedding taxi and their adorable dog Bruce before the Routemaster arrived and it was into the drink reception with their guests. 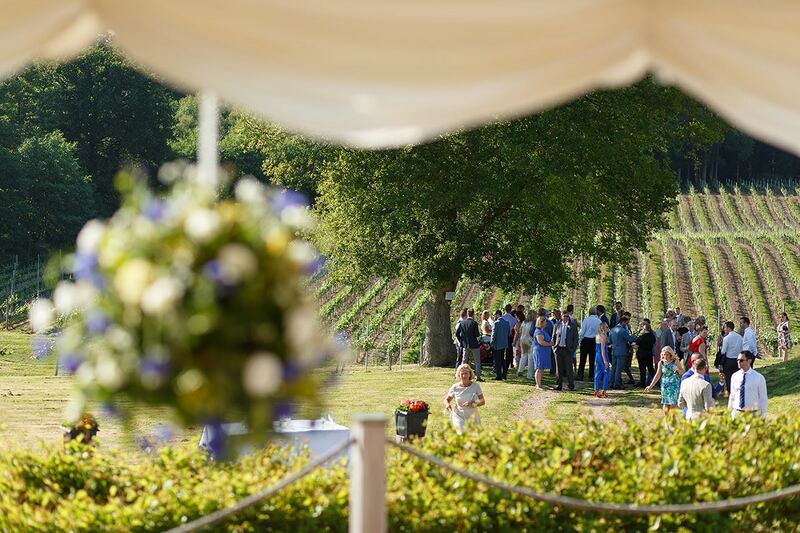 Their marquee commanded a stunning view of the vineyard in the valley below, what a great spot for a wedding reception! 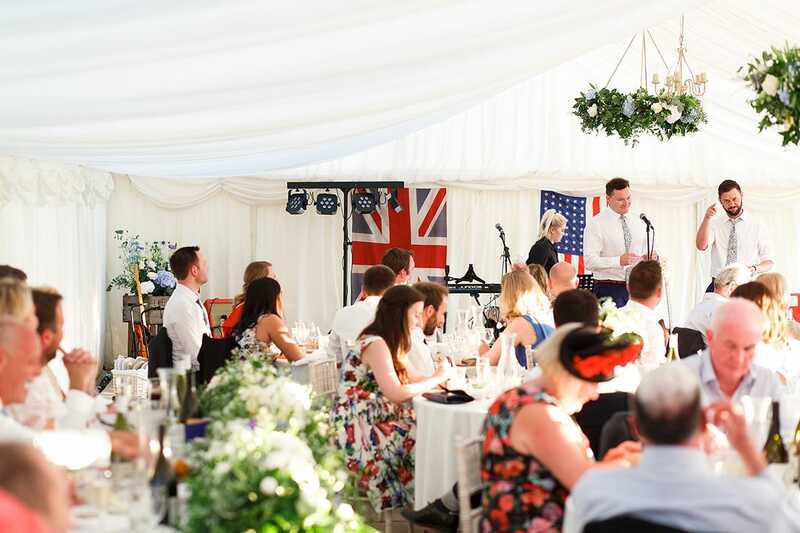 After some time drinking in the champagne and sunshine, it was into the marquee for the wedding breakfast, preceded by Todd’s speech. 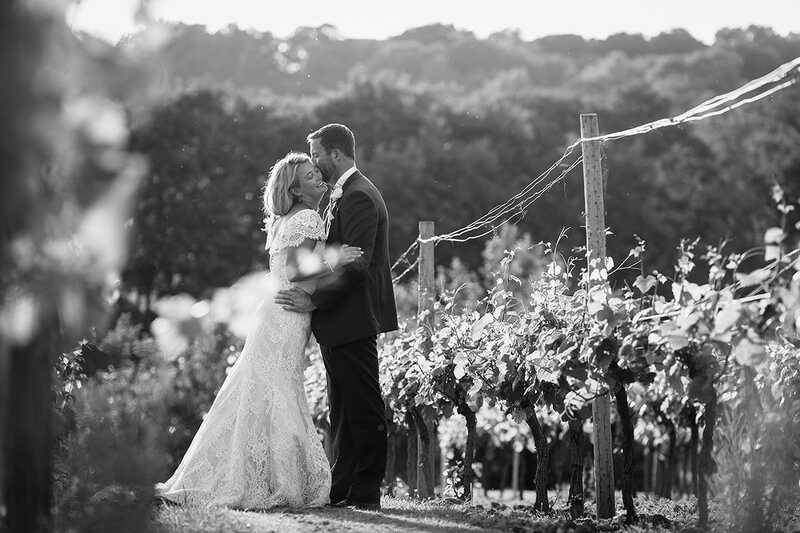 In between the courses we popped out into the vines for a few couple photos in the late afternoon sun. 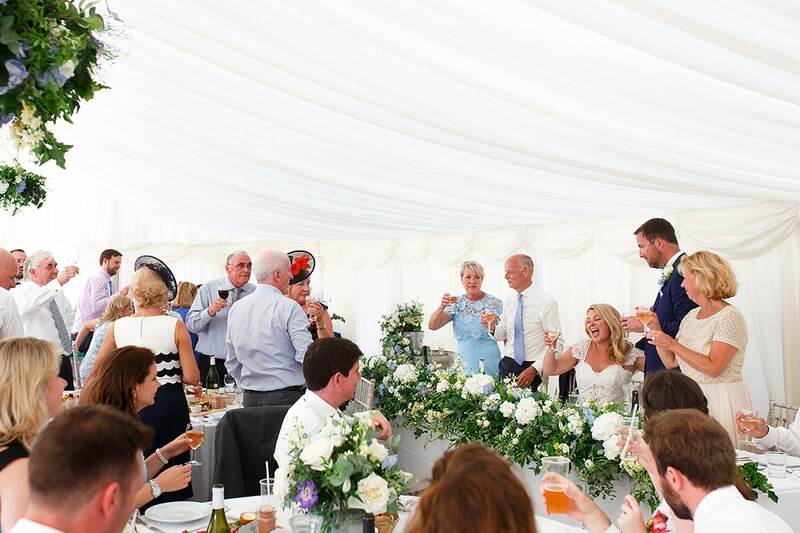 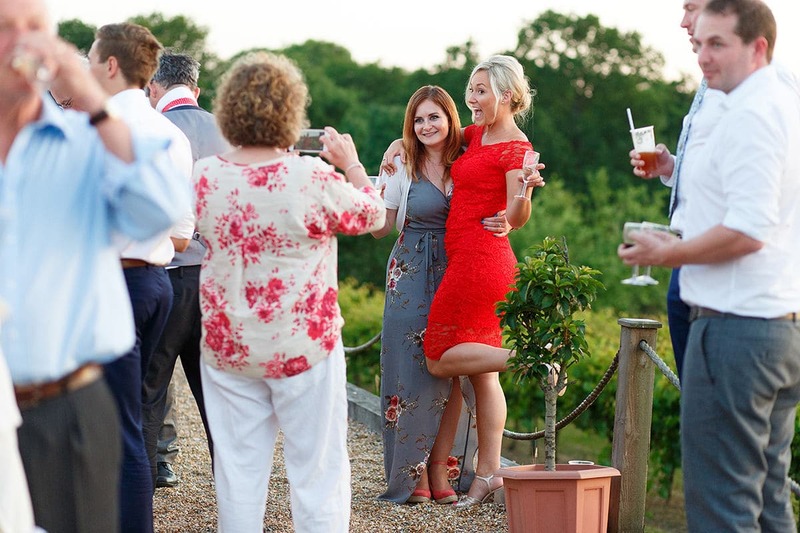 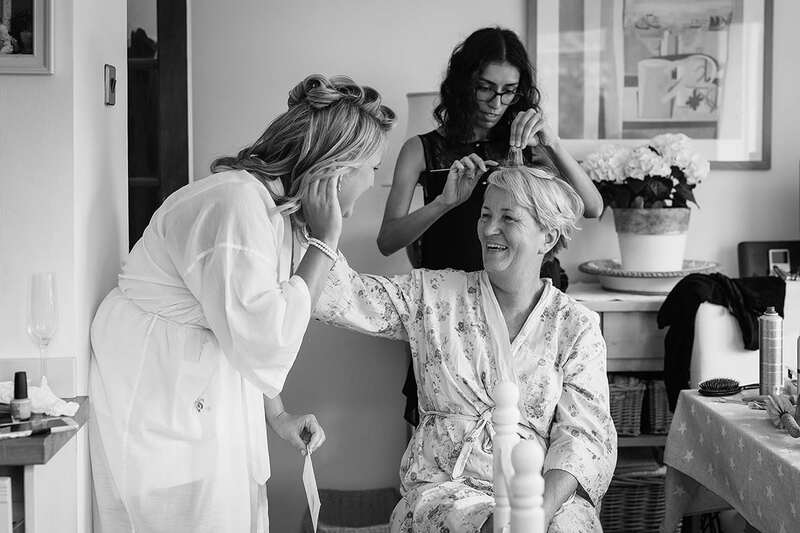 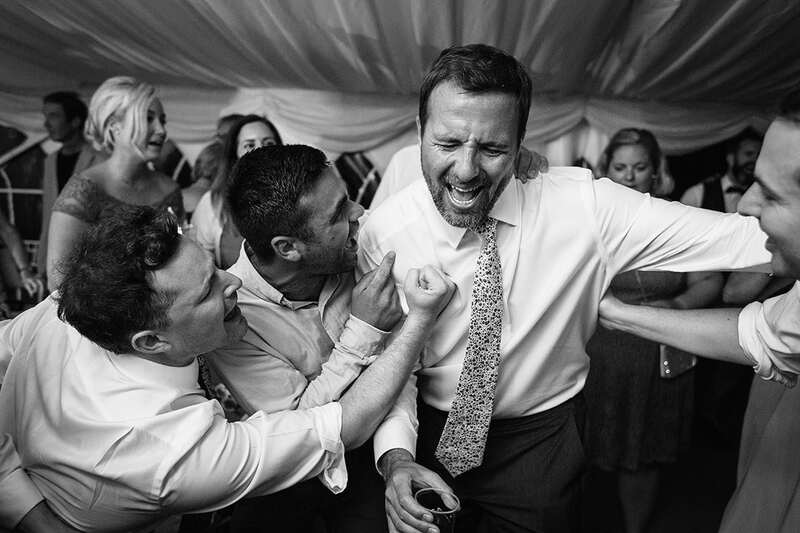 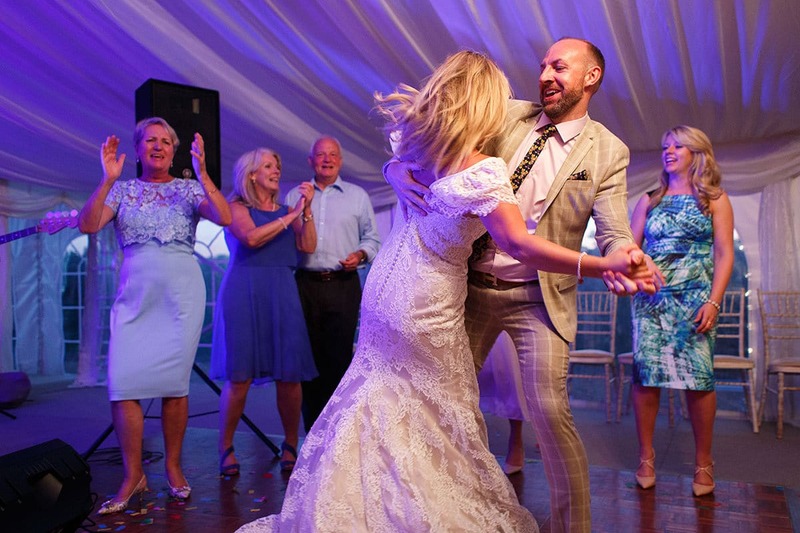 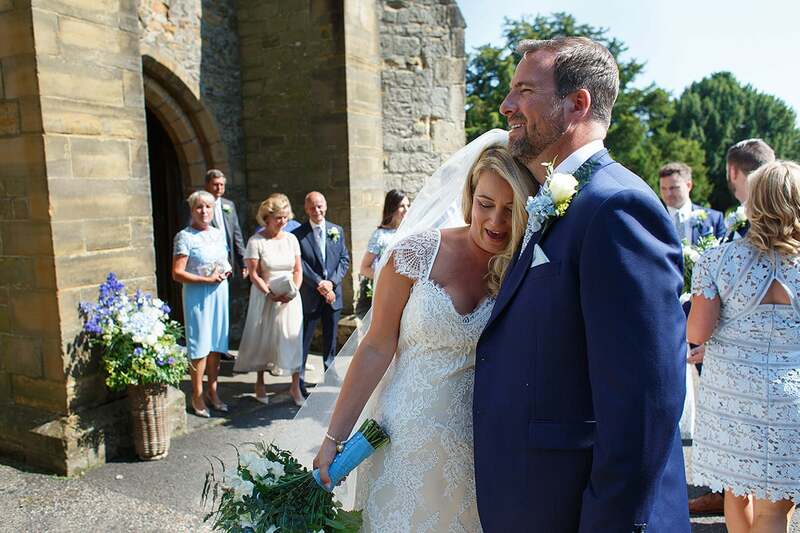 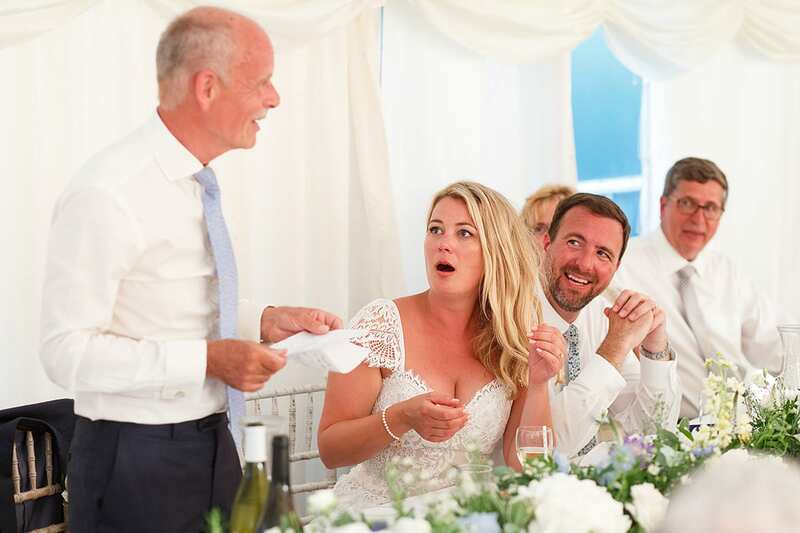 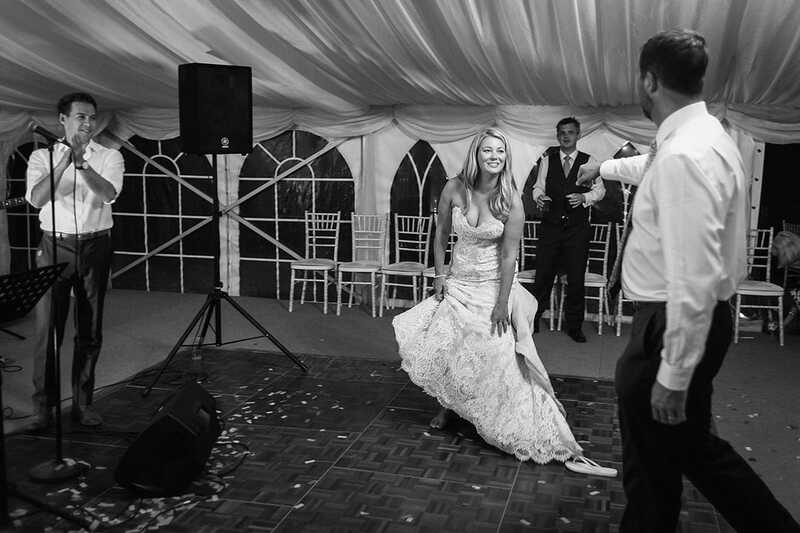 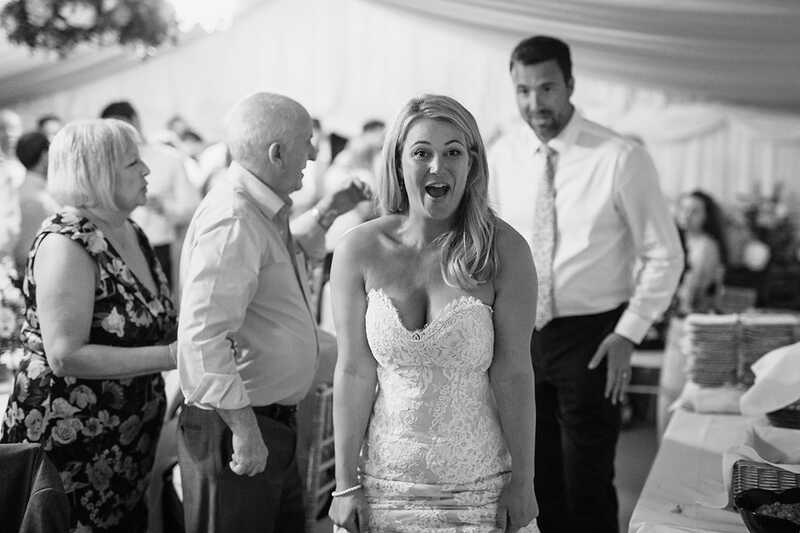 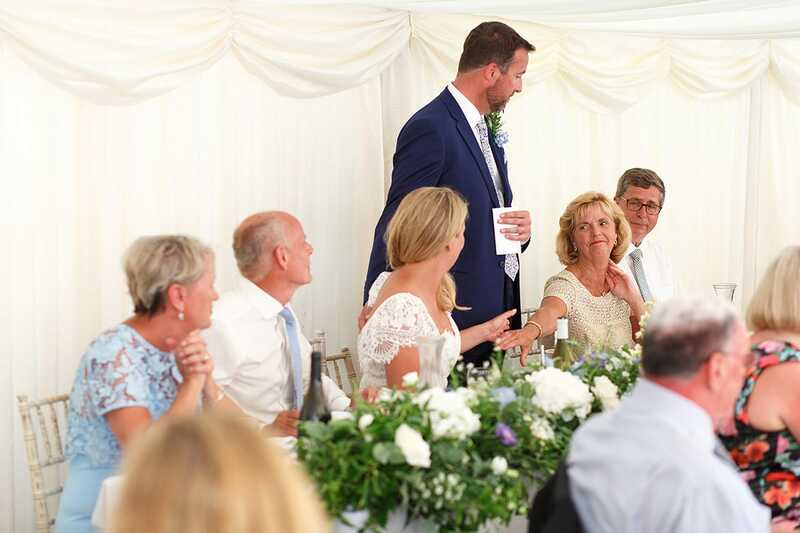 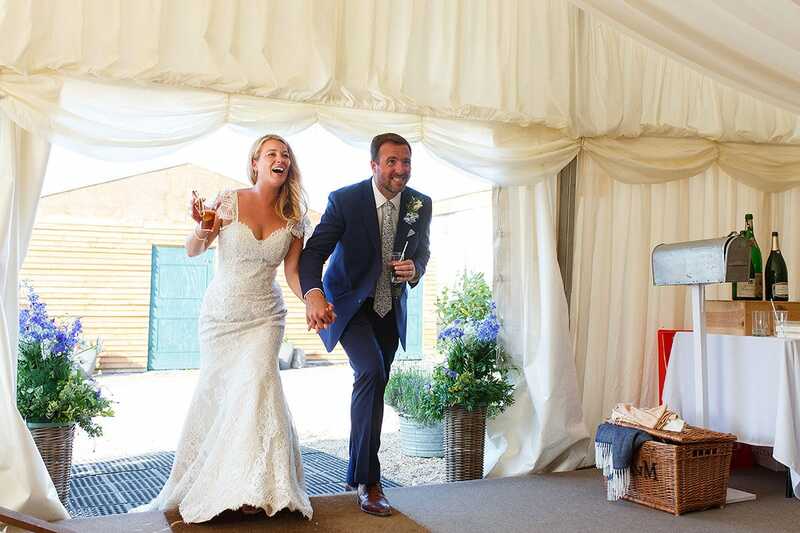 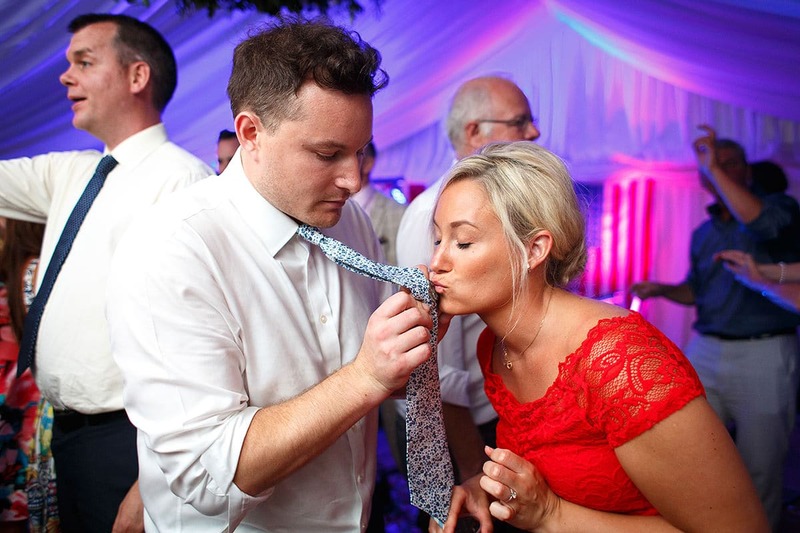 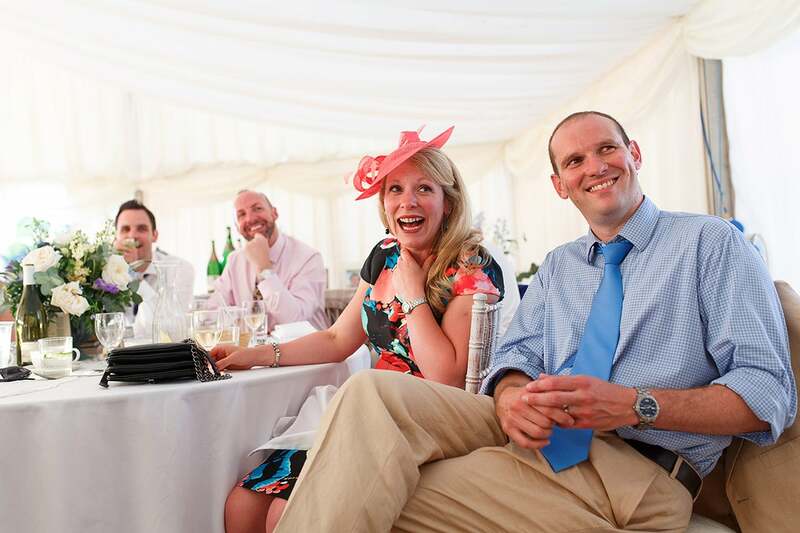 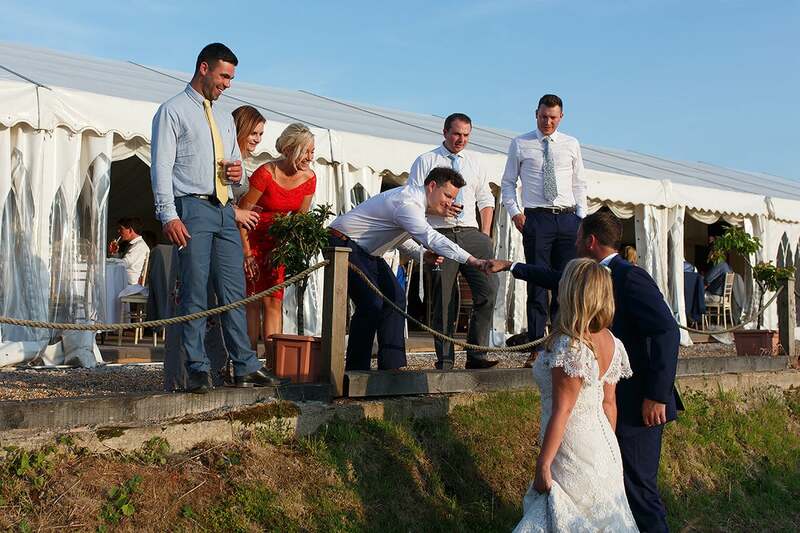 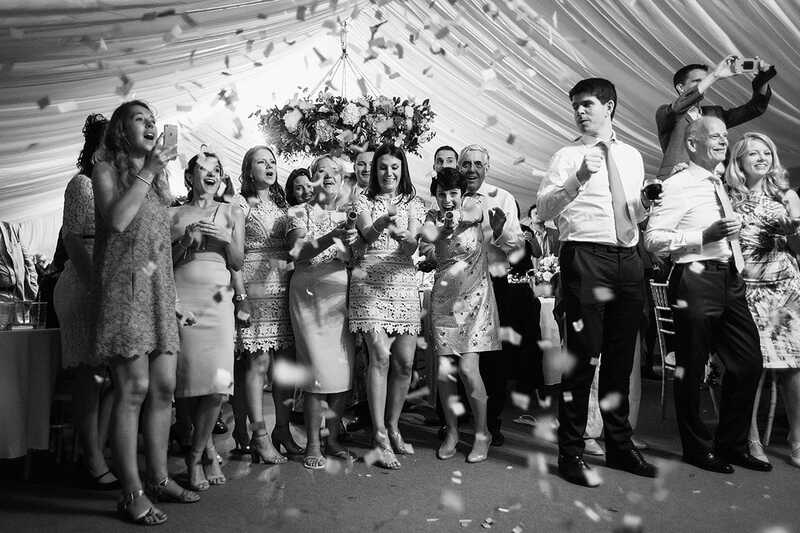 The afternoon and early evening were super chilled, with guests wandering in and out of the marquee interspersed with Laura’s fathers and best men speeches. 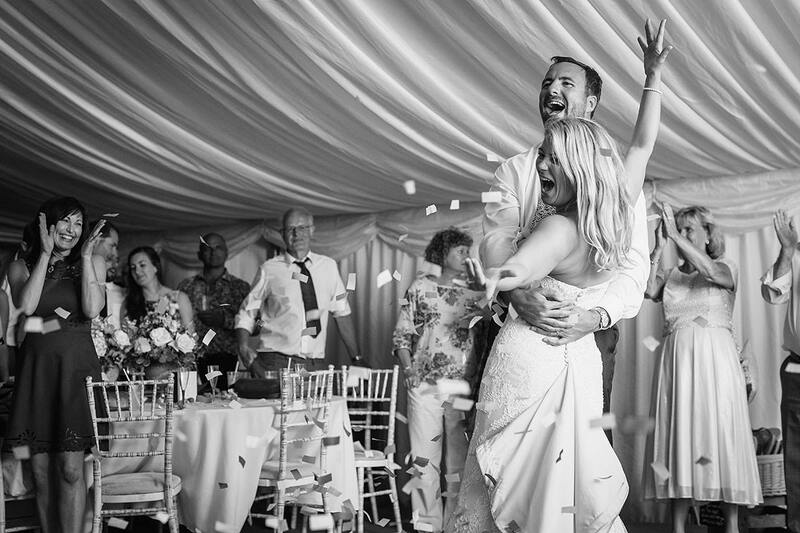 A dusk came it was back into the marquee for a confetti-cannoned first dance and then a pack dance floor full of their guests to round out a fantastic day.